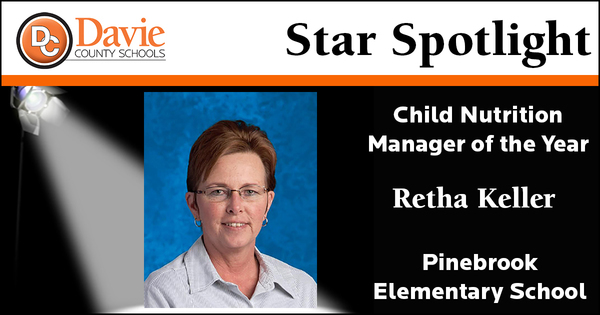 Retha Keller is a wonderful Child Nutrition Manager and is a pleasure to work with. She leads a team of remarkable women and it is her strong, positive, and capable leadership that allows them to be the best team in the district! 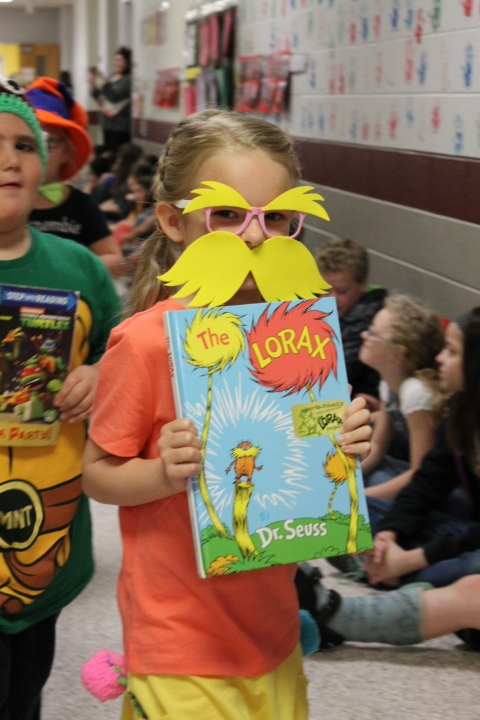 Retha always has ideas for special occasions and you might see her dressed up as a minion, a pirate, or a Dr. Seuss character from time to time. She always gives 100% to any task she undertakes and does it with a calm and professional demeanor. She seeks to inspire her staff through notes and verses posted in the cafeteria prep area, and this inspiration and love spills over onto staff and students. Our Child Nutrition Team at Pinebrook is the best it has ever been and I know that is because of Retha and what she instills in and expects from her team. I'm certain that in every kitchen in Davie County Schools there are numerous devoted employees who deserve this nomination. 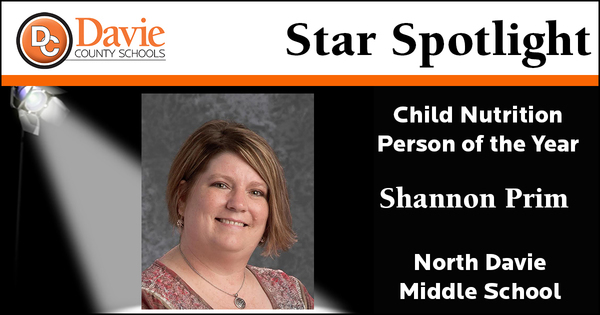 In order to be awarded the distinction of Child Nutrition Person of the year that person must shine above the rest and Shannon Prim most definitely shines. 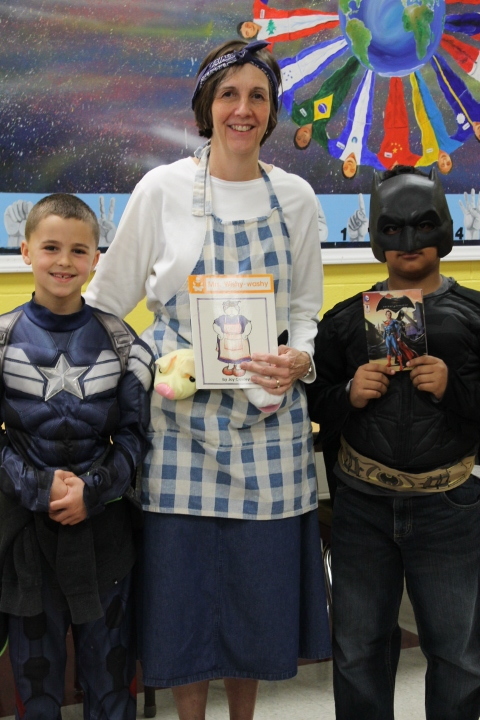 She is as devoted to our students as if they were her own three boys. Middle school children are not very generous with hugs and affection, that's just a matter of their age, and yet I see Shannon the recipient of many hugs and high fives as students come through the line. If she's not at work for whatever reason they ask "Where's Ms. Prim?" 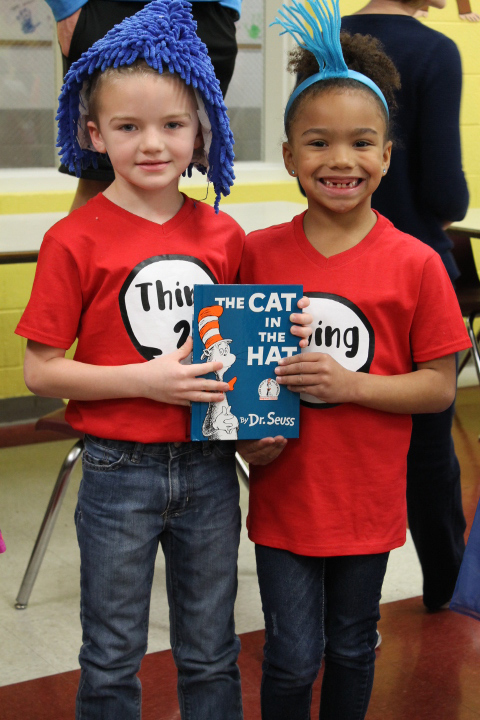 The students see Shannon as more than somebody that will be providing them a meal, they see her as a friend that is always willing to listen to them no matter if they are having a good or bad day. You've heard it said time and time again about people who make your life easier, "I don't know what I would do without her." Well I've had the opportunity to answer that question first hand. Shannon runs our kitchen and makes the day seamless. It's a true struggle for for me personally as a manager when she's not here. She's the person that STEPS UP. We have lost some hours in our kitchen as many have due to budget cuts and I was overwhelmed at the thought of how to get things done but Shannon stepped up with her amazing organization skills and covered all the bases. She amazes me with her ability to make things work and keep a smile on everyone's face. Her devotion to our staff is second to none. She is always concerned that everyone is content and ready to fix things if there is a problem. She has been my assistant manager since 2010 and I feel I've learned far more from her than she has from me. She has courage to step up and get the job done. The best way to describe her is AMAZING! 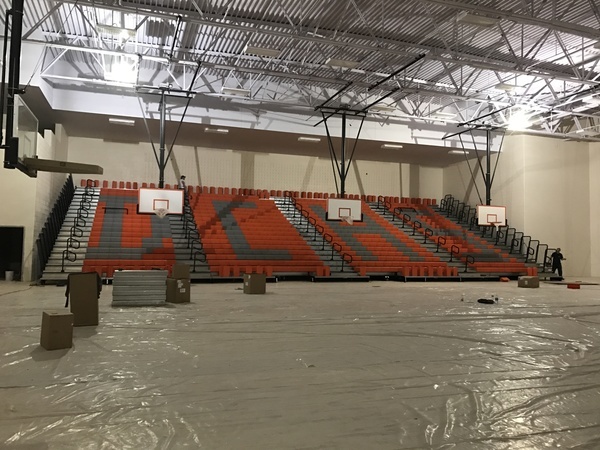 The New Davie County High School continues to be on schedule and within budget. 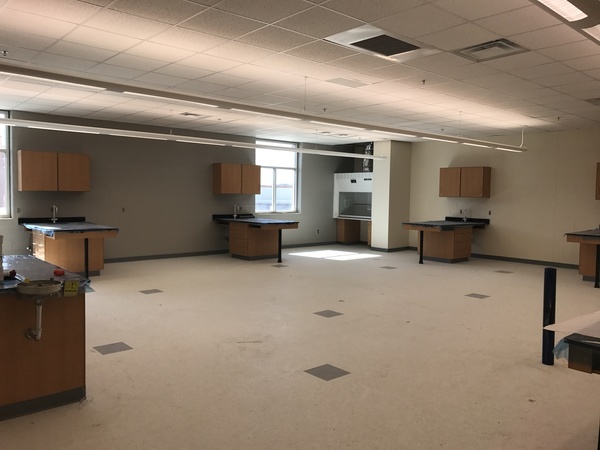 Numerous classrooms are awaiting final cleaning, while flooring and finishes are being installed in other areas of the school. Construction is scheduled to wrap up by the first of June and then we will move into the new high school over the summer. The first day for students will be August 28, 2017. Over the next few months, we will be announcing more specific plans for events leading up to the opening of the school, such as open house for students and an open house event for the community. We are excited about the new home of the War Eagles! 3rd Place: Eliza Smith (NDMS). Davis Byers (SDMS) was the 3rd place district winner. 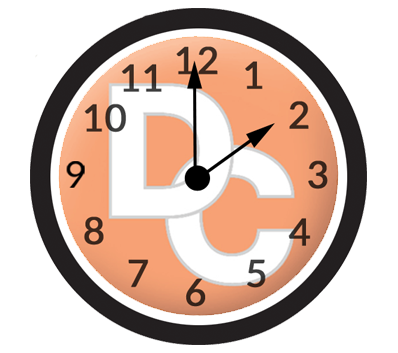 Daylight Saving Time begins Sunday, March 12. Be sure to move your clocks forward one hour.